Make partner Tracey Wiles had worked at the practice’s London office for nine years before relocating to its newly opened Sydney office, in January. 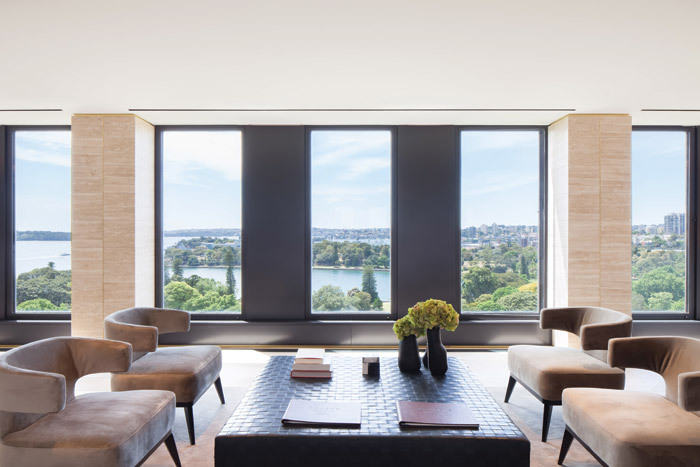 It comes after an ‘unexpected’ market emerged for Make, with the practice deciding to set up office in the Australian city after one of its own-design penthouses sold for the highest price ever achieved in Australia. 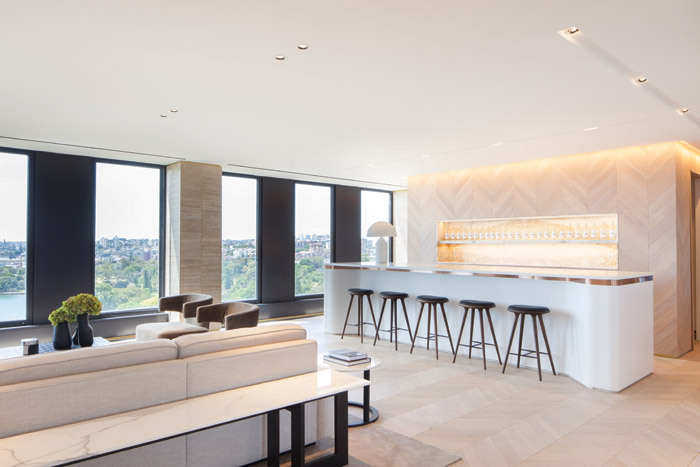 The penthouse in question is part of the Opera Residences, a luxury residential scheme with prestige views over the Sydney Opera House. Wiles led the design team and, speaking to us after just three days at the Sydney office, she was already booked up with meetings with potential clients. In her years in London with Make, Wiles headed some of the practice’s key interior projects, with a client list including Harrods and The Temple House hotel in Chengdu. A trained and practicing architect, Wiles’ passion lies within interior design, and we spoke on the phone to discuss what it was about interior design that had entranced her. ‘I really wanted to do interiors [at university],’ begins New Zealand-born Wiles, who moved to Australia as a child. She completed her interior design training in the late Eighties, but says that she quickly felt constrained by interior design, citing missing knowledge from her education. ‘I wanted to work more with services and structures, for example,’ she says. To overcome this, she decided to train as an architect. Wiles joined Make in 2006; it was a practice still in its infancy, having only been established two years previously by former Foster + Partners’ partner Ken Shuttleworth. It hadn’t yet developed what Wiles refers to as its ‘strong interiors’ department, and she decided on an approach to take on more interiors-focused work. ‘I said to Ken, “We’re not going out to win interiors work; our clients are here and we’ve got great architectural projects, so just put me in front of the clients [to get more interior projects]”.’ This approach won the practice new business, bypassing tenders and being offered new jobs on the basis of the practice’s previous delivery. Wiles also describes a ‘holistic’ approach taken by the practice for interior design and architecture. Primarily focusing on people, design and architecture – to include working in unison with other architecture practices – Make’s work ethic is also contributing to its project success. Eliminating the typical hierarchical approach, as traditionally seen within architecture practices, it instead adopts a ‘horizontal hierarchy’. Architects, designers and staff of all levels each have their own project responsibility, meaning work is managed by teams, rather than individuals. And this approach, says Wiles, helps to create an immediate rapport with clients, with each member of the project team taking ownership and pride in his/her work. ‘It’s a massive compliment to be told, “We feel you respond to us as a company and our needs”, and that’s what we’re about,’ says Wiles. And with such freedom in work culture comes a diverse portfolio, with projects not typically looking like a Make project because there is no house style. Instead, it’s reflective of the clients’ needs. But Australia being in a better time zone for Make’s Hong Kong office, where Wiles has assisted on several of Make’s Chinese projects, she says it’s the place to call home for now. Tomorrow, she’ll be at the beach with her kids.